(STILLWATER, Oklahoma / April 26, 2017) – The buildout of the Oklahoma State University athletics complex is continuing with construction now underway on a new stadium for the OSU women’s soccer program. Pending approval by the OSU Board of Regents, the stadium will be named after the project’s benefactor, Oklahoma State graduate Neal Patterson. 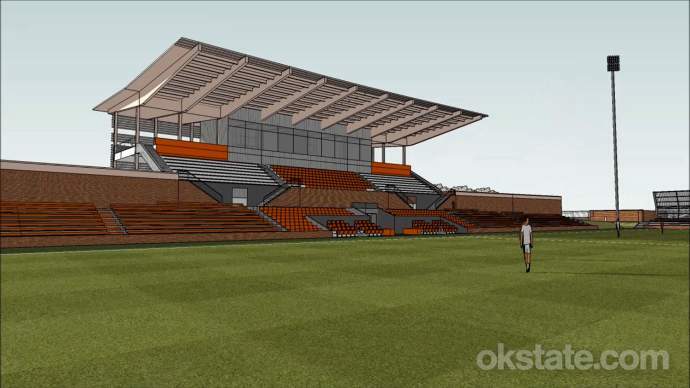 With completion planned for the fall of 2018, the new home of Cowgirl soccer is a $20 million project. The stadium is under construction on the current site of the Cowgirl Soccer Complex, located on Hall of Fame Avenue just north of OSU’s Colvin Center. OSU will play its 2017 home matches on the site, despite the building process. “When you provide an education to someone with intelligence, work ethic, determination and big dreams, you occasionally create a force that changes the world,” said Mike Holder, OSU’s Director of Athletics. 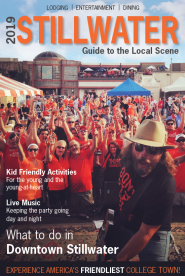 “Neal Patterson has done that in the health care industry and our goal is to use his investment in OSU soccer to attract bright, determined, big dreamers from around the world to our soccer team. The new facility will be a showcase for college soccer with club seats, plaza and upper bowl gathering areas and a north end zone terrace area and seating designed specifically for OSU students. Team facilities include locker rooms, meeting areas, kitchen facilities, sports medicine areas and equipment rooms. The stadium will be able to accommodate more than 3,500 fans in permanent seats. The west side of the stadium will include 552 bleacher seats, 659 chairback seats and 432 stadium seats in the lower bowl. The upper bowl will feature another 378 chairback seats and 164 stadium seats. Atop the west side of the stadium will be two club levels with a capacity of 80 and two suites with a capacity of 20 guests each. A new press box will sit atop the stadium. The west side will be anchored by a club area at field level that can host more than 100 and serve as a player lounge and nutrition area on non-game days. The north end zone includes bleacher seating for more than 400 and will include a patio, a building and a concourse area that can host more than 125 for gatherings. Another additional 900 seats will remain on the east side of the stadium, where they have been located since the program was launched. Patterson, for whom the new facility will be named, grew up near his family’s farm in Manchester, Okla. He earned a bachelor’s degree in finance and a master’s degree in business from Oklahoma State. He is one of five entrepreneurs who founded Sporting Club, which in 2006 purchased the Sporting KC Major League Soccer franchise. He is also chairman of the board and chief executive officer of Cerner Corporation, a company he co-founded with two colleagues in 1979. Today, Cerner is the world’s largest publicly traded health information technology company with $4.8 billion in revenues in 2016 and approximately 24,000 associates worldwide. FORTUNE recently named Cerner one of the world’s most admired companies. The Cowgirl soccer program was launched in 1996. In its 21 years of existence, OSU has made 10 appearances in the NCAA Tournament, including reaching the quarterfinals (round of eight) in 2010 and 2011. The program won Big 12 Conference championships in 2003, 2008, 2009, 2010, 2011 and 2013.